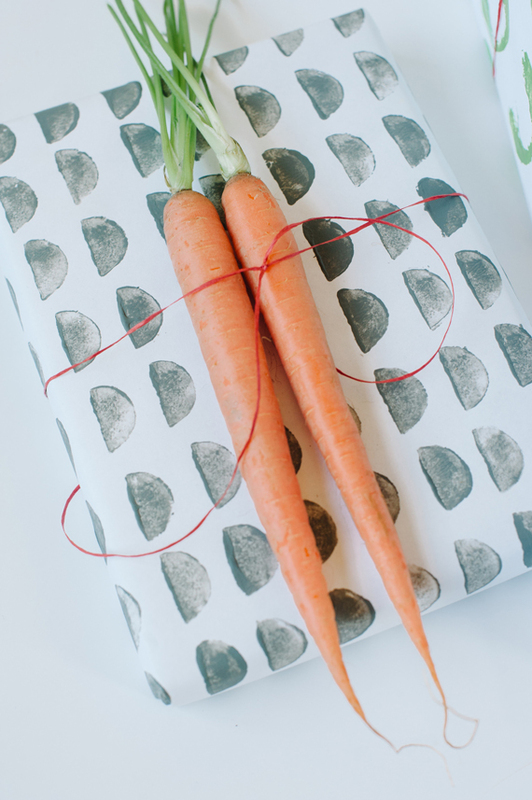 Inside: The cutest DIY Easter wrapping paper! I can’t begin to explain how much I’ve been looking forward to stamping with vegetables this spring. When I decided to try it first on a long roll of white butcher paper to make my own Easter wrapping paper and I am thrilled with the results! 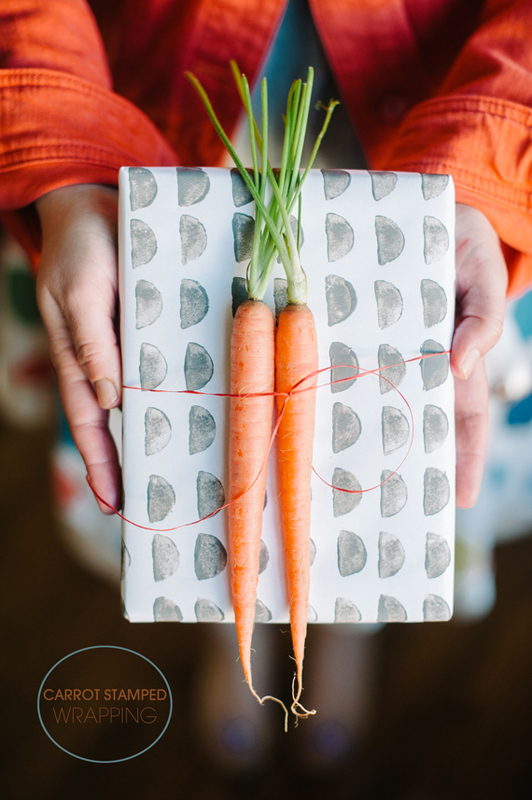 I love how easy this Easter wrapping paper project is, and how many possibilities can be had by choosing different vegetables and cutting them at varying angles. My favorite by far was the carrot cut into a half moon shape. Repeated in long lines it gives a great, graphic punch. 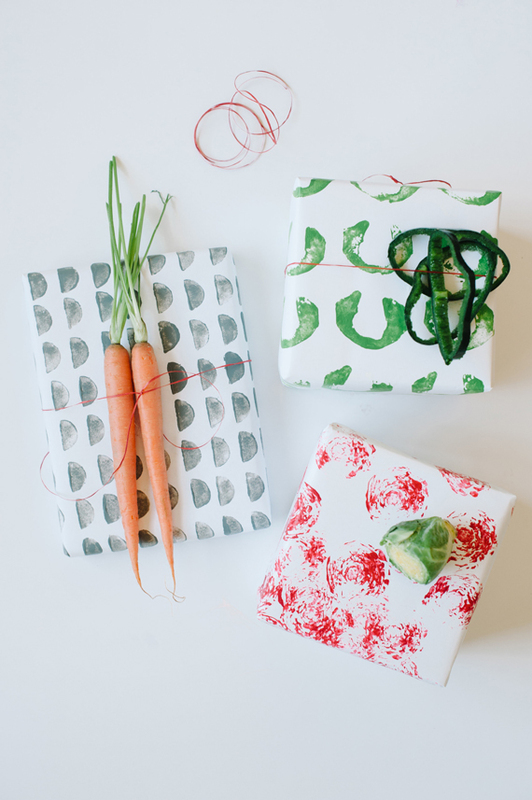 How to make Easter wrapping paper! First, choose a few favorite veggies to work with. Besides the half moon carrots, I also loved how the cut brussel sprout flowers, the sliced bell peppers, and the celery looked (you’ll see that one later this week). Use acrylic paint and brush it onto the cut vegetables with a small foam brush (it lends to a cleaner stamp then dipping them). Press down on the paper to apply and let dry. These Lemon Poppy Seed cookies are cute, colorful and so much fun! 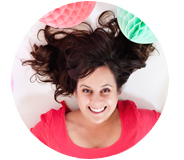 Here are my favorite tips on making the best Easter Basket! And these pompom Easter eggs are the cutest! Let us know in the comments what your favorite Easter DIY project is! Photography was done in collaboration with Pictilio for A Subtle Revelry. I love the brussel sprout print!!! And that huge piece of carrot pattern!? I wanna frame it and hang it on the wall! Rebecca, check back Wednesday;) I decided to frame the celery, it is even better than the carrots. Easy art, right… You could fill a wall for under 5 bucks! This is SUCH a fantastic idea. I really really love it. I’m sending this to my mom as well. I think I want to do this! Great! I really love the carrot print. Pingback: 20 подароци кои никогаш нема да сакате да ги одвиткате | Srekja.mk – Официјална страница на среќата!